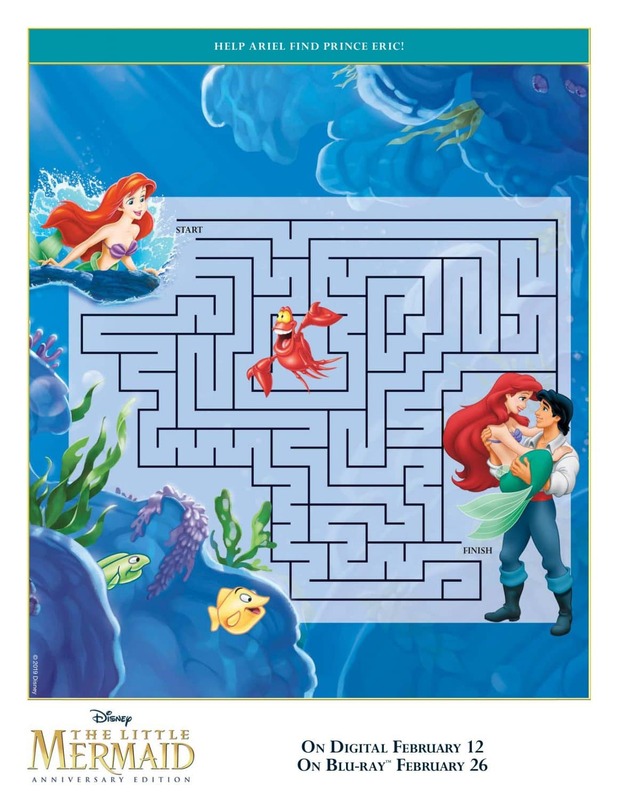 The Little Mermaid Coloring Pages and Activity Sheets for kids are here! Just in time for the movie release on Digital, 4K Ultra HD, and Blu-ray™! Woohoo! Okay parents, get ready to feel old – Disney’s The Little Mermaid is celebrating it’s 30th Anniversary! Oh my gosh, how has it been 30 years!!! In honor of its 30th anniversary, two-time Academy Award®-winner The Little Mermaid, dives into the highly celebrated Walt Disney Signature Collection with all-new bonus features and a sing-along mode! In honor of this 30th Anniversary Signature Collection release, click below to get your The Little Mermaid Coloring Pages and Activity Sheets for your family today! The Little Mermaid 30th Anniversary Edition is available on Digital, 4K Ultra HD on February 12th and 4K Ultra HD and Blu-ray™ on February 26th!